I’ve always liked cartoons, but it’s difficult for me to find those that I like through and through. This is true with all aspects of my life: books, shows, movies, and even people. So when I sat down and started to look at the cartoons, (that are aired on TV, specifically), that I keep up with and why, I found something interesting. They just so happen to be the only ones I watch regularly, and they are all connected. These aren’t my top 5 out of 10 or 20. These are my top 5 out of 5. I don’t watch many other cartoons other than these. I’ve seen plenty others, and some came close to this list, but these are the only ones that I rate 5/5 stars. This is pretty standard stuff, but I hold these things at a high bar, and if just one goes down the crapper, it can ruin a cartoon for me. So, what are my favorite cartoons? More importantly, how are they connected? Let’s start with ATLA. I’ll try not to repeat myself. This is not a surprise; it’s one of the top favorites for many people, and it deserves to be. Multilayered storytelling and characters coupled with a rich world and lovely concept, (and great animation), makes this show better than any other cartoon… And you’ve heard all of this before. What I want to get at is it’s relationship to Samurai Jack and Gravity Falls. Besides the big antagonist who breaths fire and who’s character design has lots of points, the main connections are action. More specifically, the martial arts. Jack and “Team Avatar”, (as deemed by Sokka), both possess substantial physical prowess. Both parties learn new techniques, (Jack learns to “jump good”, while Aang learns all four elements), and both are fighting to stop a supreme evil force. The fighting action also connects to BTAS, but BTAS is substantially more akin to Samurai Jack. In terms of storytelling, the characters in ATLA, like Samurai Jack, uphold goodness, and wish to vanquish evil. However, the plot in ATLA is substantially more complex, and contains more moral struggle between characters. Another cartoon that I love, and is an honorable mention to this list is “Young Justice”. Young Justice had this caliber of a multifaceted story, and I have no idea why it was canceled so fast. Interestingly, I was rather slow to get into this show, but once I did, I came to love all of the little details and depth that was put into the show. It was the same way with Gravity Falls. Where this show picks up similarities to Gravity Falls is where they drop off for Samurai Jack. Both Gravity Falls and ATLA have continuous stories throughout one or more seasons, and even though I instantly liked Gravity Falls, I love the details and connectedness as I do in ATLA. And, finally, the characters are interesting. One of the main reasons I enjoy ATLA, but not Legend of Korra, (the last few episodes were pretty good), is because I don’t find the characters all that interesting. The same for Gravity Falls and TAWG. The characters are fun to watch. I did a long post about why I love this show, so I won’t say much about why it’s awesome. Visit my previous post here! Besides, I want to explore what it connects to. I would have to compare this with TAWG due to the world setting and strangeness, and to BTAS for art style and animation. TWAG has a much different visual feel, (more akin to Gravity Falls), but the suspension of belief is pushed just as far. Or, rather, the illusion of the show just goes that much further. I never question any of it! BTAS has more of a similar art style: the simplified shapes and blocks of color, coupled with stylized backgrounds. Though, the general color schemes couldn’t be more different. I think the point is that they were unique at the time. 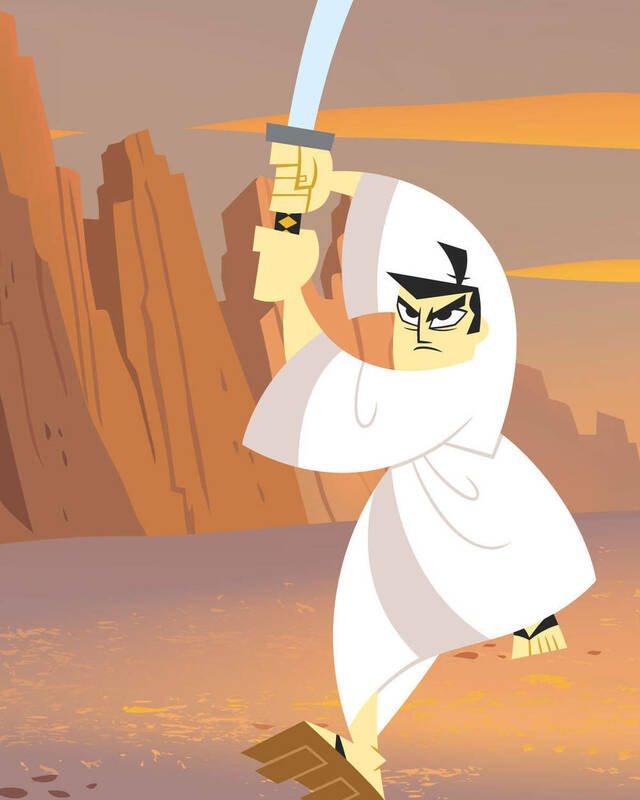 I know many cartoons were doing the stylized thing, (Power Puff Girls, Fairly Odd Parents, Dexter’s Laboratory), but Samurai Jack stands out to me. Also, Samurai Jack, along with TAWG, provoked an immediate visceral reaction from me; and a good one at that. I immediately liked Samurai Jack, TWAG and Gravity Falls. For all three of these, it was a combination of interesting characters paired with great visuals right off the bat. This is a recent cartoon, but it doesn’t stand alone. I can relate it to ATLA and TAWG without much thought. Let’s unpack this: Gravity Falls has a great story. Just like at the end of ATLA, I got goosebumps and was suffering from a condition known as “feels” when Gravity Falls finished the season finale. “Feels” is neither negative or positive (usually). It’s best described as a hurricane-force mix of awe and loss. You were just lead through end of a story that you’ve been following for so long…and now, after you have been through so much with the characters, it’s all over. But it was worth it! Not many things can invoke that in me, but Gravity Falls did and ATLA did. The world of Gravity Falls may not be as big, but both shows had lovely storytelling and characters that I found I really cared about. TWAG got in here mainly for lighting and color, though the animation was similar, too. Both shows had/have an overarching lighthearted feel, making them fun to watch. I really do love the lighting and color in both Gravity Falls and TWAG. Both have a warm feel, and always feel like summer, which is most important for Gravity Falls, since the show takes place during the summertime. This show is like Samurai Jack; I never tire of it. Seriously the episodes never get old. Each one is so witty and fun to watch. It’s also strange, and has a huge, ultra diverse world and nuts-o character design; much like Samurai Jack. 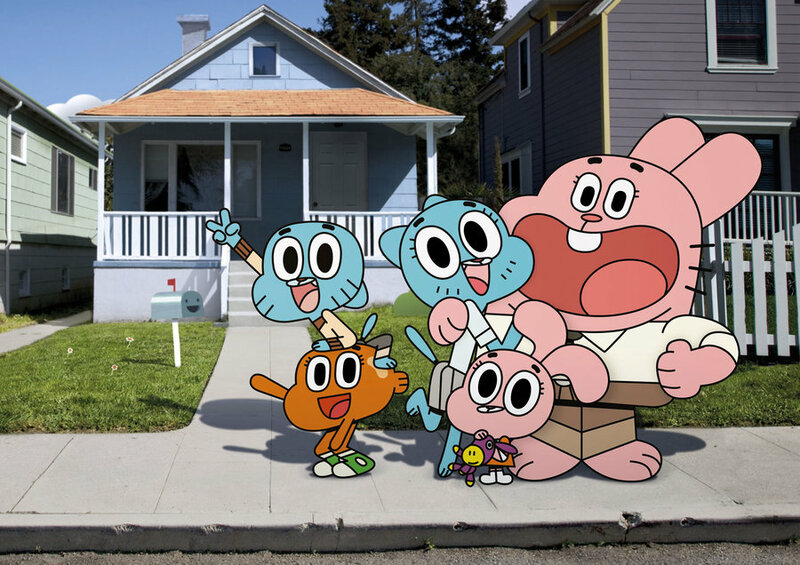 Also, Gumball reminds me of Calvin and Darwin reminds me of Hobbs. In fact, even the mom characters are similar. Despite getting a style revamp halfway though, (sort of like BTAS), it was for the better. The show fits its own world so much better now, which seems odd for me to say, but the humor and scope didn’t quite mach with the flatness of the early episodes. I’m not really going to talk about BTAS’s redesign. I don’t mind it either way. As a side note, TWAG has a whole ton of awesome mixed-media. This is the only cartoon that I’ve seen that I think has successfully incorporated mixed media into the show that’s so obvious. Gravity Falls does have 3D elements, but they are meant to blend in. Even though Batman: The Animated Series isn’t the first cartoon I choose when I sit down at my laptop, it still has earned a place in this list. I’ve already mentioned that I most connect this with Samurai Jack for the art and animation. BTAS has a darker feel, and even though Samurai Jack has its dark episodes, BTAS feels like it just has more of a weighted presence to through around just due to its color scheme. It’s less ethereal and more grounded. Yet, to me, both have a similar visual style. Also like Samurai Jack, the stories are usually contained within each episode, and often aren’t told over more than 2 episodes, like Samurai Jack. There are dark episodes and lighter ones, like Samurai Jack. Batman also usually gets to beat someone up. So, (and maybe I’m simplifying this too far), but Samurai Jack and BTAS aren’t all that different aside from a pallet change. The motivation of the characters is driven by the absence of their family, and both seek to uproot evil, even if in their own way. I am not saying you could do a crossover of Samurai Jack and BTAS. The worlds just aren’t compatible, but there are elements there that connect these two. Like ATLA, this show took me a little longer to get in to, but once I did, I became loyal. And, like ATLA, I usually reserve watching BTAS for when I have a long period of time where I can do a proper marathon, rather than being able to pop an episode of Samurai Jack of TWAG in whenever I want and not worry about it. Both ATLA and BTAS, (and Gravity Falls) hold emotional weight for me. Samurai Jack does, too but in a different way. I don't get the “feels” from Samurai Jack or TWAG. Good shows, but not highly emotional. Also, BTAS and Gravity Falls have my favorite title sequences pretty much of all time. Samurai Jack is up there, too. It’s strange to see how everything got grouped. Even though I just took all of the time to think through, organized and write up my thoughts, I didn’t really expect it. Well, this was another long-winded post. As a final thought, here’s my honorable mentions list for the cartoons that almost made the top 5! Signing off for the night! Happy Martin Luther King Day!